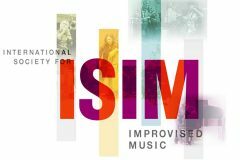 The International Society for Improvised Music (ISIM) is pleased to announce that their 11th Festival and Conference will take place Thursday, May 16, 2019, through Sunday, May 19, 2019, at Augsburg University in Minneapolis, Minnesota USA. They emerge from a two-year hiatus with great enthusiasm for the “world of possibility” they spoke of when they concluded their first decade. The gathering will combine festival and conference components and bring together musicians, teachers, scholars, promoters, and listeners who are interested in exploring the many facets of spontaneous musical creativity. You are invited to seize this opportunity to create connections and share knowledge with world-class devotees of the art of improvisation from all around the globe. Below is a list of lodging choices near the Augsburg campus. PLEASE BE ADVISED: Everyone is encouraged to make their reservations early. Several city-wide events will take place in Minneapolis at the same time as the ISIM 2019 festival-conference, which means that hotel space will be in high demand, which will only increase during the coming months. Courtyard Minneapolis Downtown has also made a limited block of rooms available to us at a modestly discounted rate, on a first-come basis. Reservations for this block will be made via a secure weblink that Courtyard will provide to ISIM, which we will then provide to those who wish to join this block. Again, the number of rooms available for this block is limited; but the room rate will be the same whether there is single or double occupancy. There might also be rooms available at Courtyard at their standard rate, once the block-limit is reached. The greatest advantage to Courtyard is an on-request shuttle between the hotel and the Augsburg campus 7:00 am-10:30 pm.